Facebook Me Two Step Verification Kaise Enable Kare: Two Step Verification, Internet Ek Aisa Jaal Hai Jaha Par Kuch Bhi Safe Nahi Hota, Online Security Banaye Rakhne Ke Liye Aap Facebook Account Me Two Step Verification Security Enabled Or Activated Karke Hackers Se Facebook Account Ko Safe Rakh Sakte Hai, Aaj Hum Facebook Security Ke Bare Me Baat Karege Or Facebook Me Two Step Verification Security Kaise Chalu Karte Hai Batauga. Facebook Par Aapki Personal Chats, Friends Sab Kuch Hota Hai Jo Sabhi Ke Liye Importance Rakhta Hai Chahe Wo Koi Bhi Ho Par Aapne Suna Hoga Ki Uska Kuch Logo Ke Facebook Account Hack Or Facebook ID Blocked Ho Jate Hai Aise Me Aapko Facebook Ki Security & Privacy Features Ko Follow Karna Chahiye, Maine Facebook Security Tips Or Tricks Me Facebook Account Ko Secure Rakhne Ke Bahut Tarike Bataye Hai. Facebook Two Step Verification Enable Kaise Kare? 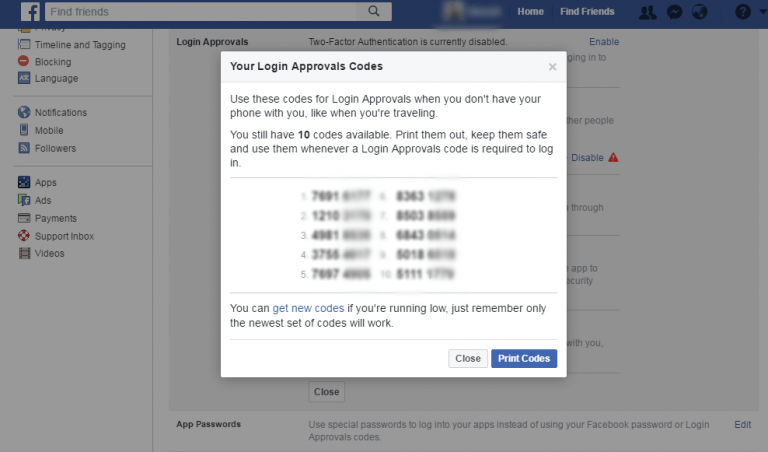 Facebook Two Step Verification Jisse Login Approval Or Two Step Verification Security Bhi Bolte Hai. Yeh Ek Security Layer Hai Jo Aapke Account Me Hone Wali Insufficient Activities Ko Track Karega Or Aapka Account Risk Me Hone Par Aapko Informed Karega. Agar Aapka Password Hacker Ko Pata Chal Jata Hai Phir Bhi Wo Aapke Facebook Account Me Login Nahi Ho Sakta. Two Step Verification Security Kaam Kaise Karti Hai? Aap Jarur Soch Rahe Hoge Ki Yeh Facebook Security Start Karne Se Aisa Kya Ho Jayega Jisse Facebook Hack Hone Se Bach Sakta Hai, Mera Kaam Aapko Puri Jankari Dena Hai To Yeh Security Feature New Browser Me Login Karte Time Aapke Mobile Number Jo Account Me Added Hai Uspar OTP (One Time Password) Send Karega Or Jab Aap Wo Code Dalege Tabhi Facebook Access Kar Sakte Hai. 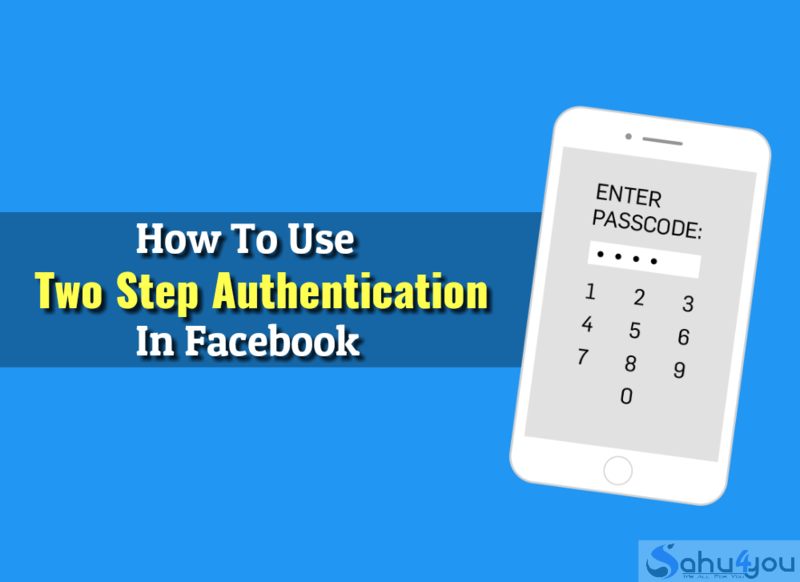 Friends, Aapke Facebook Account Me Two Step Verification Enabled Ho Gya Hai, Two Step Verification Setup Hone Ke Bad Aapka Account Puri Tarah Se Secure Ho Chuka Hai, Ab Aap Jab Bhi Facebook Account Me Login Karege Tab Aapke Sim Number Par One Time Password Aayega Usko Facebook Par Enter Karke Hi Login Kar Paayege. Friends Situation Ki Baat Kare To Kabhi Aisa Hota Hai Ki Aap Bahar Hote Hai Or OTP Wala Sim Card Aapke Paas Nahi Hota Or Facebook Account Me Login Karna Muskil Ho Jata Hai, Aise Me Aap Recovery Codes Ki Help Se Facebook Account Me Logging Kar Sakte Ho.